CarGurus has 52,072 nationwide Elantra listings starting at $1,000. With its stylish exterior lines, class-leading list of standard and optional features, impressive fuel-economy numbers and overall good value, the 2012 Hyundai Elantra compact sedan remains firmly entrenched near the top of its automotive class. The 2012 Elantra's few blemishes include the quality of its interior materials, which don't quite live up to class standards, and its sometimes-noisy cabin, as well as limited visibility out the back, due to the triangular shape of the rear windows. Although it remains essentially the same car as the 2011 version, the 2012 Elantra continues to draw overwhelming positive comments from reviewers and owners alike. The Elantra's styling, affordability and tech features are among its biggest draws, but the car's stated fuel economy numbers have proved controversial, as a number of owners report they're achieving nowhere near EPA estimates. Still, the award-winning Elantra remains a highly viable choice for owners who are seeking a stylish, contemporary, and efficient ride for daily commuting. After receiving a full redesign in 2011, the Hyundai Elantra gains only a few minor updates for 2012. The automaker adds its new Active Eco System, which helps increase fuel efficiency by up to 7% when engaged, on trims equipped with an automatic transmission. In addition, Hyundai equips the 2012 Elantra with a new dual-shell horn, revamps the steering calibration and offers three new exterior colors, including Shimmering White, Midnight Black and Indigo Night. Despite rolling over from the previous year with few changes, the Elantra continues to match up well in just about every category with such competitive vehicles as the Ford Focus, Chevy Cruze, Honda Civic and Nissan Sentra. Its "Fluidic Sculpture" exterior design helps it stand out from the crowd, and its fuel economy numbers continue to draw buyers. In addition, the Elantra holds the distinction of being the only vehicle in its class that can be equipped with optional heated rear seats. The Elantra comes in GLS and Limited trims for 2012. Both manage up to 40 mpg, thanks to the Elantra's fuel-efficient 4-cylinder engine, and are available in super-low-emissions PZEV versions for sale in certain states. Outside, the Elantra displays flowing lines along the side, a sloping roofline and prominent wheel wells, all of which help give the Elanta a windswept, flowing look that's both appealing and contemporary. The design also helps reduce drag (the Elantra's drag coefficient is just 0.28), improving fuel economy and overall efficiency. Up front, the Elantra retains its hexagonal front grille, chrome accents and stylish headlights, as well as such standard exterior features as heated power side mirrors with integrated turn signal indicators. Attesting to its winning combination of style, comfort, fuel economy and affordability, the Elantra was chosen as the 2012 North American Car of the Year by a group of 50 automotive journalists. It also was tapped as one of the 10 Best Sedans Under $20,000 by Kelley Blue Book, received a "Superior" class ranking by the American Council for an Energy-efficient Economy, and earned the 2012 Highest Residual Value Award from ALG, an organization that specializes in automotive data and residual values. For 2012, the Elantra retains its 1.8-liter 4-cylinder DOHC Nu engine, which debuted in 2011. 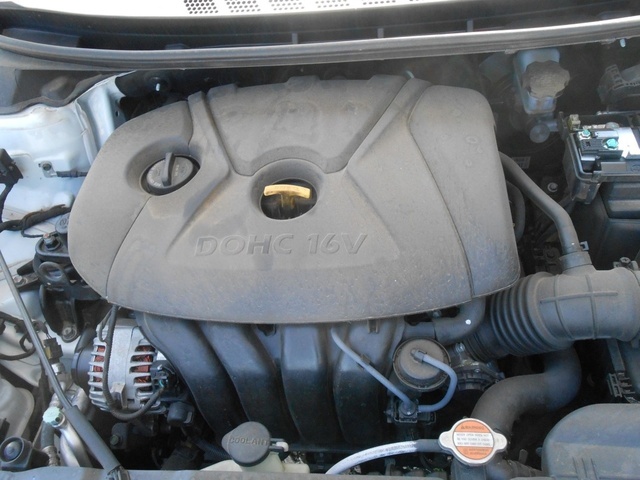 The powerplant features dual continuously variable valve timing (D-VVT), a variable induction system and electronic throttle control, all of which help it generate a peppy 148 hp and 131 lb-ft of torque while still posting fuel economy numbers of 29/40 mpg. The engine links to either a 6-speed manual transmission, which comes standard in the GLS, or a 6-speed automatic, standard in the Limited and optional for the GLS. The automatic transmission features Shiftronic, which enables manual shifting by tapping the shift knob when it's positioned in the manual-shift gate. Trims equipped with the automatic transmission also receive the new Active Eco System feature, which at the push of a button recalibrates the throttle and transmission shift points to conserve fuel. Hyundai also offers the Elantra in super-low-emissions PZEV versions, designed to meet environmental criteria in certain states. Horsepower and torque drop slightly for the PZEV trims, to 145 hp and 130 lb-ft.
As far as power and performance are concerned, the Elantra again slots near the top of its class. While it won't break any land speed records, it delivers capable performance for around-town and highway driving, even at higher speeds. Only when passing or climbing hills does the Elantra sometimes feel underpowered, requiring the driver to step down hard on the accelerator pedal, according to testers. But most agree the Elantra delivers a good balance between performance and fuel economy. While vehicles like the MAZDA3 set the standard in the class for ride and handling, the Elantra is nipping at their heels, easily competing with the best in the category. The Elantra delivers precise steering with good overall feel, and the brakes are tight and responsive, with good feedback. A few testers note some body roll in corners, and rougher patches of road are sometimes felt in the cabin, but overall the Elantra does a good job on all types of roads, providing a confident, stable and comfortable ride. The Elantra sits on a MacPherson strut front suspension with coil springs, and a lightweight torsion axle rear suspension, with gas-filled shock absorbers at all four corners. 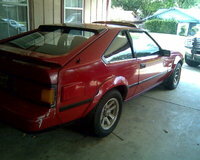 A front stabilizer bar helps to reduce body roll in corners. The setup results in a ride that tilts more toward a firmer than a softer side. For steering, the Elantra comes equipped with a motor-driven electric power steering unit that automatically adjusts to driving conditions, ensuring precision in turns while helping to improve fuel economy. The Elantra's turning diameter is 34.8 feet, slightly better than the Toyota Corolla's 35.6 feet. While overall the Elantra delivers a quiet ride, some testers note that the cabin can sometimes get noisy when under heavy acceleration. The seats, made from lightweight, eco-friendly foam, are comfortable for longer trips, and passengers will find plenty of storage spaces inside. The GLS comes standard with 16-inch wheels, while the Limited rides on 17-inch Euroflange alloy wheels. Despite its classification as a compact car, the Elantra offers plenty of room inside, and some reviewers even equate its interior spaciousness with that of a midsize car. Interior materials generally avoid looking cheap and plasticky, and overall fit and finish remain good for the class. Gauges are easy to read, and the controls, especially climate controls, are well laid out and easy to use. The two-tone interior in the GLS comes in either gray or beige, while the Limited adds a monotone black interior. On an interesting note, Hyundai uses volcanic rock and fibrous tissue on the pillar trim for a unique look and feel. While the Elantra comes in two trims, it actually offers three levels of standard features inside. The GLS with the manual transmission includes such standard features as a 6-way manually adjustable driver's seat, power windows and door locks, and a 6-speaker, 172-watt AM/FM audio system with SiriusXM satellite radio and an audio input jack. However, add the automatic transmission to the GLS, and the standard feature list expands to include air conditioning, a tilt/telescopic steering wheel and cruise control. In addition, an A/T Preferred Package adds heated front seats, Bluetooth, steering wheel audio controls and a sliding center armrest. The Limited also includes leather upholstery, heated rear seats, a leather-wrapped steering wheel and shift knob, and a power tilt-and-slide sunroof as standard equipment. Options for the Limited include navigation with a 7-inch screen, a rear-view camera, dual-zone automatic climate control, a proximity key with push-button start and a 360-watt audio system. Passengers will find plenty of headroom and legroom in the Elantra's front seat, though the back seat might feel cramped for taller passengers. Cargo space in the trunk checks in at 14.8 cubic feet, which compares favorably to such competitors as the Toyota Corolla, with 12.3 cubic feet of space, and the Honda Civic, with 12.5 cubic feet. It even matches up well with the larger Honda Accord, which offers 14.7 cubic feet. However, the Chevy Cruze trumps them all with 15.4 cubic feet. The 2012 Hyundai Elantra was named a Top Safety Pick by the IIHS, due to its top ratings of Good for front and side impact crash tests, as well as for roof strength during a rollover. The NHTSA awarded the Elantra 5 out of 5 stars overall for safety during crashes, while specifically the vehicle earned 5 stars for protecting passengers during side crashes, and 4 stars for frontal crashes and rollovers. The Elantra comes standard with 6 airbags, including dual front, front seat-mounted and side-curtain airbags. In addition, the Elantra's Vehicle Stability Management system integrates electronic stability control, traction control and antilock brakes with the vehicle's power steering system to provide optimal safety and stability. Electronic brakeforce distribution, a tire pressure monitoring system and an antitheft system also come standard. 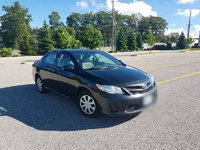 Owners note that the 2012 Elantra has a number of positive selling points, including its overall value, styling, performance and safety features. They especially like the car's interior and exterior styling, smooth-shifting transmission, firmly planted ride and easy-to-use technology features. Owners also like the Elantra’s front-seat legroom and headroom, although most note that headroom in the rear seat is less than generous. The seats, especially when wrapped in leather, are comfortable for longer trips, and owners like the overall upscale feel of the cabin. However, the Elantra's fuel economy numbers get mixed reviews from owners. 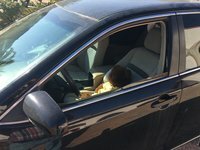 While some report that gas mileage for their Elantras averages in the mid to high 30s, and some even say they have achieved mileage numbers of over 40 mpg, many report the opposite and express some frustration with the fuel economy numbers of their vehicles, which they say hover around 30 mpg during daily driving. In fact, the fuel economy rating for the Elantra remains its most controversial feature for 2012. On the positive side, many owners compare their vehicles in a positive way to competitors from such manufacturers as BMW, Honda and Toyota, and overall owners are happy with their purchase. What's your take on the 2012 Hyundai Elantra? 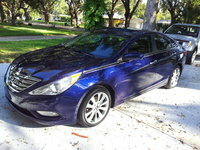 GuruWJ9D6 I love the 2012 Elantra, but wanted a sun roof. 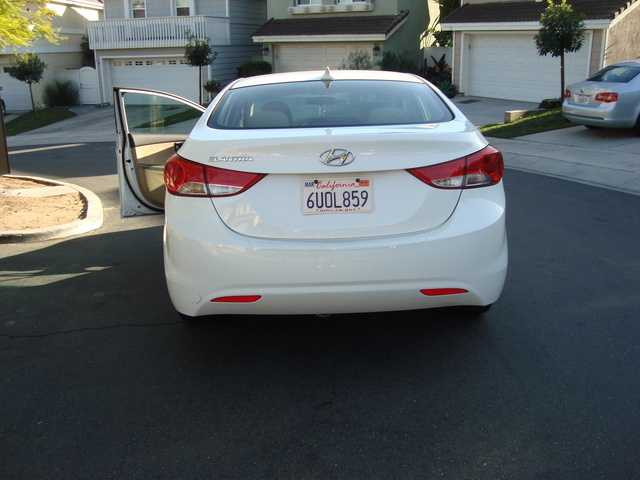 Users ranked 2012 Hyundai Elantra against other cars which they drove/owned. Each ranking was based on 9 categories. Here is the summary of top rankings. Have you driven a 2012 Hyundai Elantra?